TE2 Address selector. 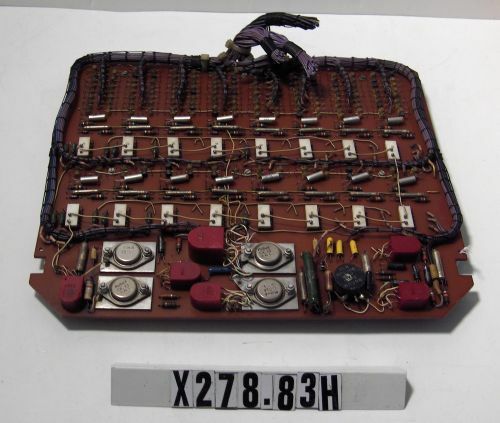 The large oval silver objects are OC23 germanium power transistors. The small cylindrical silver objects are OC84 germanium small signal transistors. The red objects are pulse transtormers. The white objects are ferrite core logic elements and the bright yellow are germanium diodes. This board translates the logical address core into the appropriate codes to address the ferrite core memory. It interface the memory.